If we win, can Phillip Lolley deliver the acceptance speech? That's TWO-TIME EMMY-NOMINATED Auburn Football Every Day ... to you, Sir. 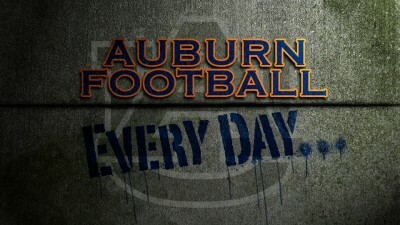 Apparently those “Authentic Films” guys Chizik and Co. hired to produce “Every Day …” really do know what they’re doing. In what has to be some kind of University first, the football team’s little web-based video series has been nominated for not one but two Emmy Awards. That’s right, Auburn could take home one of the real, honest-to-God golden-winged Atlas-type ladies from the real, honest-to-God National Academy of Television Arts and Sciences. Their competition? “Blitz Gameday: Hoover vs. Gadsden City” from WBMA-TV Birmingham (i.e. ABC 33/40) and “Japan Invades Braves Spring Training” from Comcast Sports Southeast, i.e. CSS. Still, with AF:ED… hogging half of the four nomination slots, I think it’s pretty obvious who the front-runner is, don’t you? If you’re reading, Mike Raita, you should just go ahead and concede while you still have your dignity intact. Gogole can’t even tell the difference between your station and the World Beard and Mustache Organization*. Hey CSS Senior Producer Jennifer Gleason, I hope you enjoyed that other regional Emmy you won because sister, let me tell you, it just ain’t happening this time. *You really should click this link, both for the incredible logo at the top of the page and the group photo of the WBMA founders, which is as sweet as you’d expect it to be. Photo via. HT to @kennysmith. I knew it right after the second episode. Every Day is the future. In twenty years, everybody’s gonna have a show like this. And it won’t be ten years before it’s in prime time time slots. Any chance the series is available on DVD? Just checked auburntigers.com but no luck yet. I’d also really like it on DVD. My poor DSL has a hard time with it.